The Sri Lankan rupee closed a tad firmer on Wednesday (17) helped by banks’ dollar sales, while stocks ended marginally higher for the third straight day in thin trade. Many investors were on holiday in a three-day week due to two long weekends. Both Monday (15) and Friday (19) in this week are public holidays. The currency ended at 174.55/65 to the dollar, higher than Tuesday’s (16) close of 174.60/75. The markets were closed on Monday for a public holiday in lieu of traditional new year that fell on Sunday. Traders expect lower trade in both currency and stock markets in the three-day week. The island nation’s currency gained 0.26 per cent last week, and 4.8 per cent so far this year, as exporters converted dollars amid stabilising investor confidence after the country repaid a $1 billion sovereign bond in mid-January. 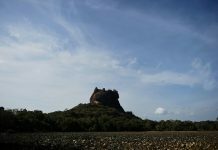 Sri Lanka was plunged into political turmoil in October last year when president Maithripala Sirisena abruptly removed prime minister Ranil Wickremesinghe and then dissolved parliament. A court later ruled the move was unconstitutional, and Wickremesinghe was reinstalled as premier. Foreign investors sold a net two billion rupees worth of government securities in t=(he week ended April 10, the second weekly fall in six weeks, the latest central bank data showed. 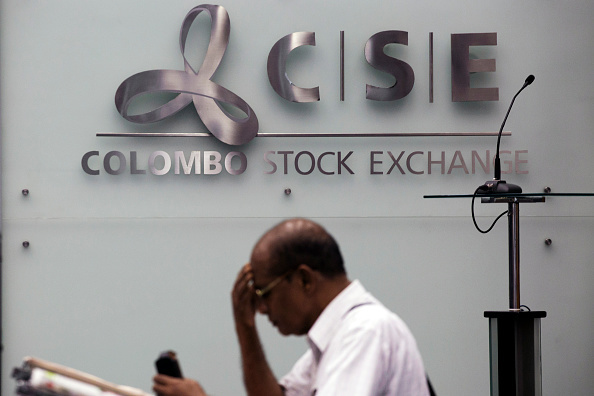 The Colombo Stock Exchange index ended 0.2 per cent firmer at 5,603.35. The benchmark stock index fell 0.6 per cent last week, recording its first weekly fall in three. The index has declined 7.4 per cent so far this year. Turnover came in at 188.8 million rupees ($1.08m), less than a third of this year’s daily average of 599.1m rupees. Last year’s daily average came in at 834m rupees. Foreign investors bought a net 46.4m rupees worth of shares on Wednesday, but the market has seen a year-to-date net foreign outflow to six billion rupees worth of equities.